Jay Foreman serves as President and CEO of his consumer products company, The Bridge Direct, which is a manufacturer of children's toys sold to retailers large and small from Wal-Mart, Target, and Toys 'R Us to Learning Express and Postal Sweets. The company's toys range from Strawberry Shortcake dolls and WWE- and NBA-themed action figures to building sets and familiar games and toys such as Simon and Lite Brite. 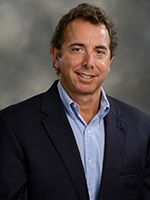 He is also currently an executive committee member and has served on the board of the Florence Fuller Children's Developmental Centers in Boca Raton for the past 10 years. Jay is the father of two Pine Crest Panthers: Ethan '22 and Kaylee '27. Jay is the husband of Karen Yeung, a very active Pine Crest Boca Raton Parents' Association volunteer. Jay and his family travel frequently to Hong Kong where he also has an office that supports his company's operation in Boca Raton.